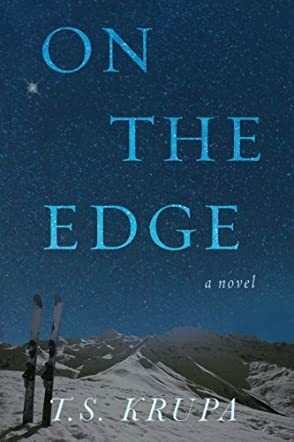 In On the Edge by T.S. Krupa, Andy Parker has one mission in life: take care of her fifteen-year-old daughter and help her achieve the best in the world. Hayden Grace is an amazing kid who has a raging passion for snowboarding. Andy tries to juggle her job, her house and Hayden Grace’s life on top of her priority list. There is nothing she can’t or wouldn’t do for her daughter. But when Hayden Grace loses her focus, Andy is at a loss to re-inspire her in the sport she loved so much. When Andy lost her husband to war, she closed her heart to any other man but her Stefan. However, when retired snowboarder Paul enters her life, she is second guessing everything. He is handsome and very good with her daughter. Plus, he is a very nice person, charming, easy going and easy to talk to. Sparks are flying everywhere; if Andy is Ying, Paul is her Yang. But Andy is conflicted. She is not sure she is ready for a relationship or not. Can Paul convince her to give them a chance? Or will Andy remain stubborn and give it all up? T.S. Krupa did a fantastic job with On The Edge. I loved Andy and her dedication to her lost army husband. I really loved the fact that Stefan left little pieces of himself in the form of letters so that his wife and daughter will not miss him after he is gone. I also loved Paul, his easy going nature, his rapt attention and his utter determination to make Hayden Grace and Andy his. Hayden Grace is such a cool kid. She is responsive and has such amazing light in her. Krupa portrayed Andy’s dilemma perfectly. She was sympathetic and encouraging. Plus, it was not instant love and that alone makes this novel worthy of five stars!